As announced by Microsoft earlier this year during its Build Developer 2015 conference the company has this week released utilities and tools to help developers port their already existing Android and iOS applications to work on the Windows platform. The new tools in the form of the Windows Bridge previously known as “Project Islandwood” have been published as a public preview on the GitHub website and is available as an open-source project under the MIT license. 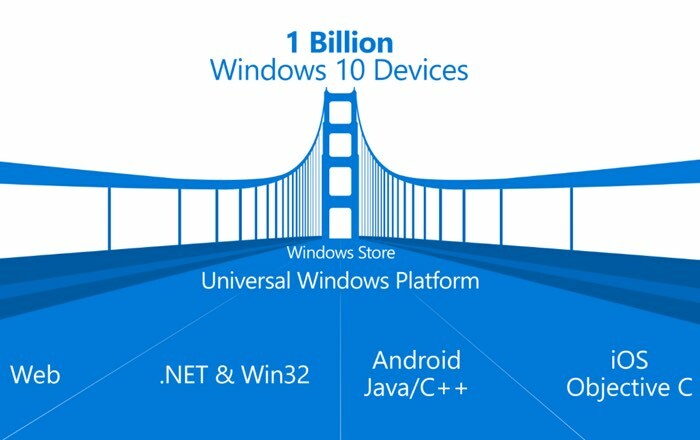 The Universal Windows Platform (UWP) is a single app platform that is available across all Windows device families, enabling you to reach a new user base and open up new revenue opportunities. From PCs to tablets, phones, Surface Hub, and soon to include Xbox, HoloLens, and Raspberry Pi – you can reach all these devices and look great on them all using one store and one codebase. Following the launch of Windows 10, we are also releasing four Windows Bridge toolkits that enable you to quickly bring your existing code base to the Universal Windows Platform and add capabilities such as live tiles, active notifications, and Windows Store in-app purchases. Each toolkit provides you with tools and run-time technologies that are tailored for your codebase. For more information on the new Windows Bridge tools jump over to the Windows Developer website for details. Also if you are interested in an easy weather based project you might be interested in building an Arduino wind speed meter which offers a way to start tracking the strength of the wind in your area in mph.